If you follow any tech news, you’ve likely seen the "Internet of Things” mentioned over and again. It’s supposedly one of the next massive things in the internet world —but what exactly does it mean? Isn’t the internet already made up of things? In a nutshell, the internet of things involves bringing more devices and sensors onto the network, connecting them to the internet and letting them communicate without human interaction. The Internet of Things refers to more devices, objects, and even living beings — people, plants, and animals — being given unique identifiers and the ability to automatically transfer data without human interaction. For example, let’s say you own a farm and want to track the soil conditions. You’d have to measure them and enter them into a computer by hand. In the Internet of things scenario, you’d use a sensor that automatically measures the soil conditions and reports them over the network. If these sensors become cheap enough, you might attach a unique sensor to every single plant on the farm to measure its conditions and transfer them over a network automatically. In effect, this would be giving each plant a unique identifier and bringing these plants online. 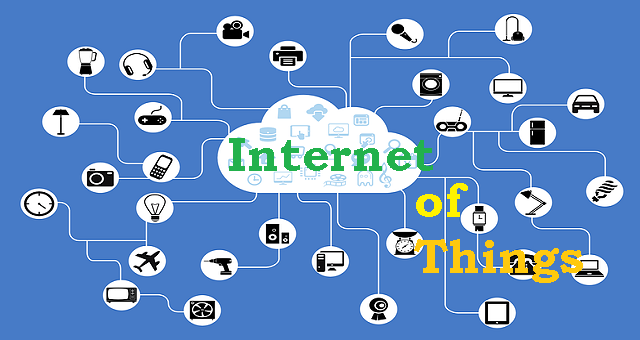 The Internet of things refers to networking all these different types of “things.” This includes everything from smart appliances to health implants that can communicate over a network. Imagine giving more and more things an IP address and connecting them to the Internet using some sort of sensor. Right now, most of the data on the Internet comes from human beings. To put a photo online, someone has to take and upload it. To measure a piece of data and get it on the Internet, a person has to get the data and enter it into a computer. But there are only so many human beings, and they only have so much time. The Internet of things would provide us with much more data — imagine if each component in a car could monitor and report its own status in real time. Or imagine a farmer being able to sit down and see the health of each plant in their field along with historical conditions. The Internet of things also refers to other, more everyday scenarios. We have this today with Philips Hue light bulbs that connect to the network so you can control them from smartphones, network-enabled thermostats like the Nest, and other devices. 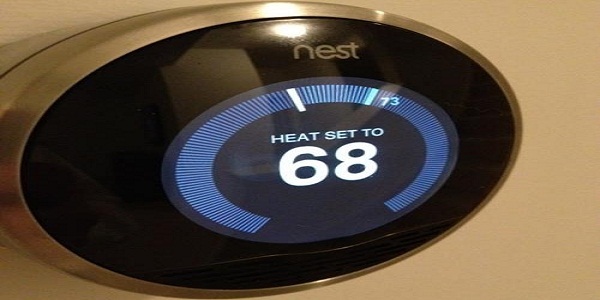 Imagine if every appliance in your house was “smart” so you could have the information at your fingertips. You’d be able to see when the laundry will be done, how long until coffee is ready, whether you left the lights on at home, and more. Because more devices become “smart” and networked, you could have your house automatically turn on the lights and turn up the heat when you come home by detecting where your smartphone is. This is the dream of the “smart home,” but it’s also related to the Internet of things — it refers to networking more devices and objects. Currently, most devices use IPv4 to connect to the Internet. We’re quickly running out of IPv4 addresses. IPv6 solves this problem by providing a larger number of possible addresses we can use. Once we’ve actually migrated to IPv6, it will be possible for every object on the planet to have its own IP address. Some have said that there will be more IPv6 addresses than there are atoms on Earth. Whether this is true or not, we’ll have a huge amount of addresses to work with. This means that everything on the planet could be publically addressable. In other words, everything on the planet could communicate with each other without worrying about network address translation and port forwarding. Security will be a challenge as we bring more and more devices online. After all, we can’t even secure all the network-connected devices we have today. Home routers are notoriously insecure and router companies have failed over and over, whether it’s a backdoor in a D-Link router or an Asus router sharing your private files with everyone on the Internet. How could we secure every appliance an average person would have at home? Do we really expect the manufacturers of $15 appliances to support them all with timely security patches and solid, secure code? And we’re not even worrying about all the other sensors and networked devices we might have. There’s no easy answer here. We’ll need a new model for security to move forward without the Internet of things being a complete security mess. Everything on the planet won’t be connected any time soon, but the “Internet of things” is gradually taking form as more and more “smart devices” join the network and sensors become cheaper and cheaper. The Internet of the future won’t just be about people communicating; it’ll be about things communicating with each other.